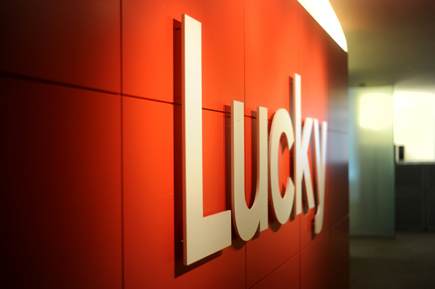 On Friday morning, I had the amazing opportunity to attend a champagne breakfast at the Lucky Magazine headquarters. 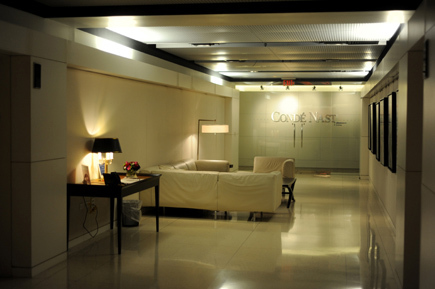 It was in the Conde Nast building which is just wonderful. As soon as we approached the door and saw the Lucky sign, I was so excited. I felt like I was in a movie! The whole experience was just so surreal. 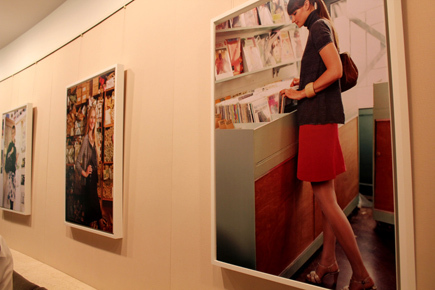 It has been a joy to be a part of the Lucky Style Collective - especially for experiences like these. We all sat down in their conference room with editor-in-chief, Brandon Holley. She is so down to earth, easy to talk to and really really nice. 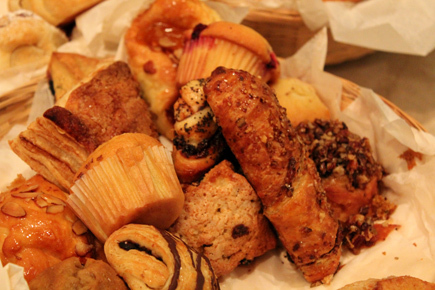 We all threw around some ideas, talked about fun things that happened during FNO and ate yummy danishes and muffins. 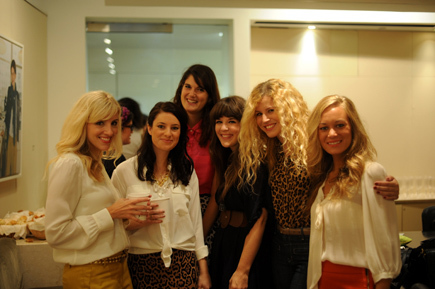 I loved seeing so many favorite bloggers and meeting new ones too! 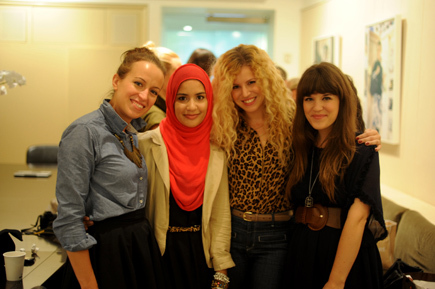 It was really fun to meet these Asma, and Lauren of My Closet in Sketches. They both grew up in Michigan! 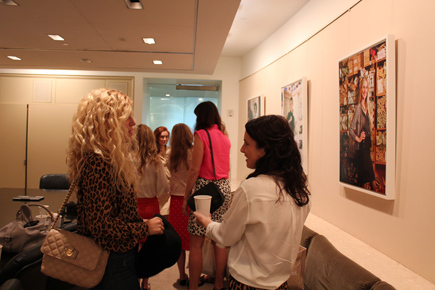 It was really awesome to see four girls in the Lucky Magazine conference room all from Michigan. I'm always really proud of our state, but to see fashion talent emerge is really amazing to me. They were both so kind. Of course, Andrea and I had to take a photo with them! Thanks to Lucky for having all of us come to their place of work - and especially thanks to John Jannuzzi for keeping track of all of us in the collective! It's been a lot of fun so far and I've had some wonderful opportunities - being featured in the September issue, attending FABB and seeing their facility. I'm excited for the future with Lucky Magazine and to be part of something amazing with them.